The holiday season is my favorite time of the year! There’s so much good food, so much time spent with family, and, of course, there’s so many gifts to give. 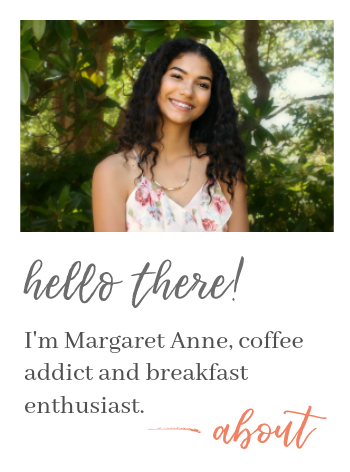 So today I decided to switch things up and share a list of gift ideas for the all the foodies out there. 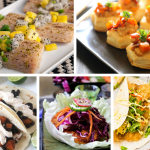 Foodies are pretty easy to buy for, considering we would love to own just about everything in the Kitchen & Dining department of Amazon. 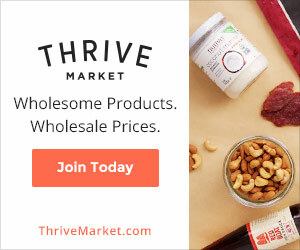 Most of the items on this list cost less than $100, so you can give a gift that you know they’ll love AND that’s affordable. Before we get started, I just wanted to let you know that the products below are things that I either personally own and recommend, or would reaaally like to own. I also wanted to disclose that I wasn’t paid to recommend any of these products, however the links below ARE affiliate links, meaning that I may receive a small commission if you purchase through that link (which I love you guys to death for!). 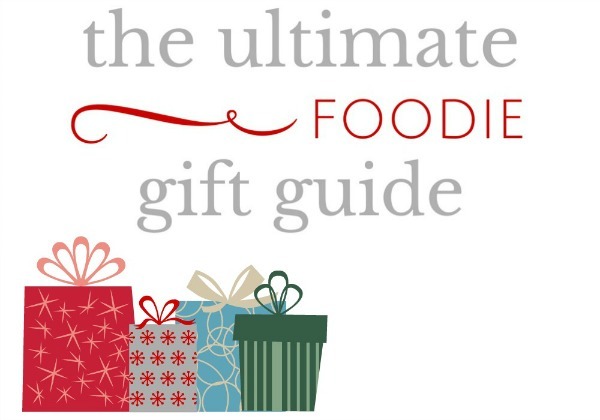 So, without further ado, I present to you The Ultimate Foodie Gift Guide! 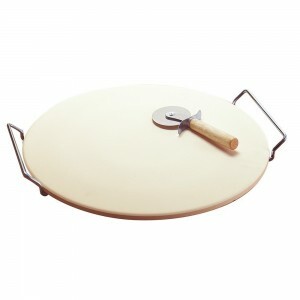 This double-headed pastry wheel has a flat and fluted wheel that is ideal for cutting all types of pastries and pastas. 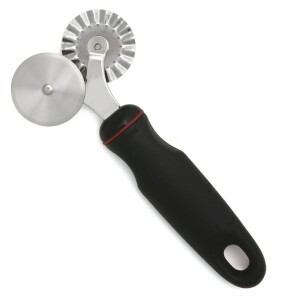 I love using the fluted wheel for homemade crackers or ravioli, and using the flat wheel for cutting pinwheels and other pastries of the like. You guys know me—I make a lot of muffins. But you can’t make muffins if you don’t have a muffin pan! (That’s kind of, like, mission impossible.) I don’t recommend picking up a muffin pan from the dollar store to give as a gift, as they’re known for not being durable. 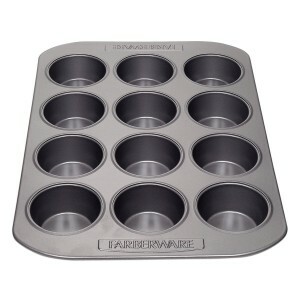 Instead, get the foodie in your life a good, durable muffin pan that will last for years. Replacing most of my cookware with cast iron cookware was honestly one of the best decisions of my life. I mean, cast iron practically lasts a lifetime and is super easy to clean. Cast iron is also crazy durable—AKA you don’t have to worry about scratching it, denting it, or the handle breaking off. This is one of the things I don’t own but would love to own. 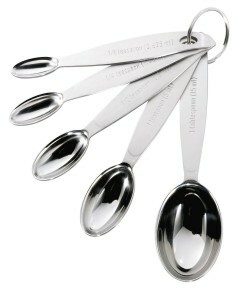 The heads of the spoons are oval-shaped, so that they can easily fit into things like spice jars. I also like that the measurements are stamped into the handles, so it’s not like the measurements will rub off and you’ll be left floundering around, trying to figure out which one is the 1/2 teaspoon. I nabbed this set last year mostly because of the value. Each piece of the set can easily go for $10 a piece, however this set only costs $15.99, averaging out $5.33 per piece. That’s huge! 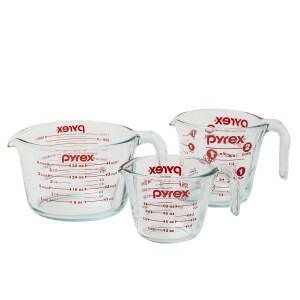 I use these guys practically everyday for everything from measuring milk to mixing wet ingredients. If you’ve ever cut a boatload of onions or garlic, you know how hard it is to get that smell off of your hands. When washing with soap and hot water for five minutes won’t work, it can get pretty frustrating (and smelly). 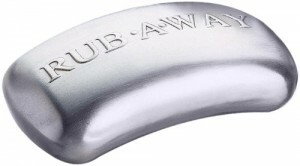 I love this rub away bar because in seconds of rubbing it on my hands like a bar of soap—the smell is GONE! Plus, this baby costs less than $10. SCORE! 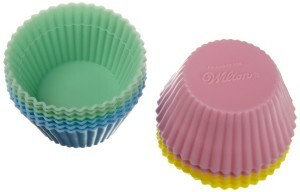 These silicone baking cups are reusable and washable, so they’ll never have to buy muffin cups again. Muffins pop right out of each muffin cup and you don’t even have to grease them! How cool is that?! 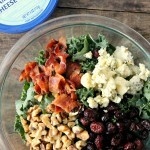 You can also cook individual servings of brownies, make mini quiches, and anything else you can think of. Also known as silpats, these baking mats have evolutionized the way we bake. 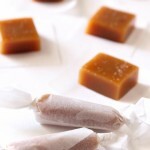 You use them the same way you use foil or parchment paper, except these bad boys are reusable and washable. They’re non-stick and come in two sizes: cookie sheet and toaster oven. 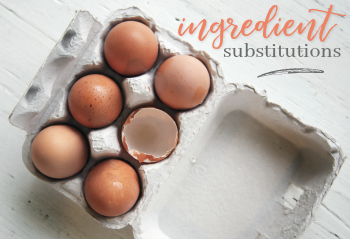 I use silpats for baking cookies, crackers, bread, english muffins, and so much more! I don’t know about you, but I’m tired of hurting my hands trying to use pointy, metal vegetable peelers. In this set, you get three different pieces: a julienne, a serrated, and a straight blade. 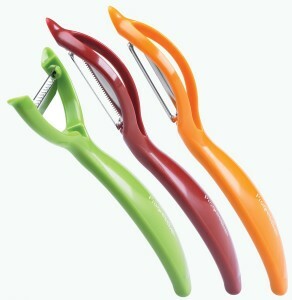 You can peel potatoes, make zucchini noodles, or peel ripe pears with these awesome peelers. 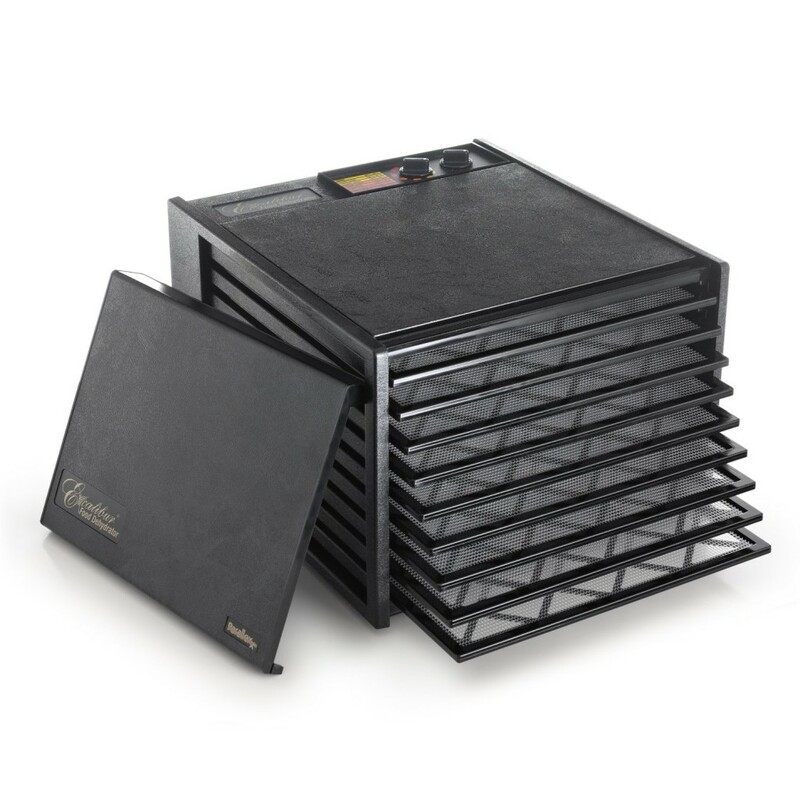 I’ve only had mine for a few months, but they make prepping veggies and such so much easier. Make high-quality pizza at home with this easy-to-clean pizza stone. I used to have a problem with crusts that didn’t cook and breads that didn’t brown on the bottom, but this pizza stone does it all! It heats evenly so that there aren’t any hot spots or parts of the pizza that weren’t as cooked as others. I remember the days of making pie crust with two knives—and I certainly don’t miss ‘em! If the foodie in your life doesn’t own a food processor but is tired of cutting in butter with knives, they’ll love you for this pastry blender. I’ve had some serious problems with wire pastry blenders in the past, but this stainless steel one is super durable and gets the job done! This is the only pie pan I recommend. It’s ceramic, so pie crust has a harder time shrinking than if you had used a glass pie pan. 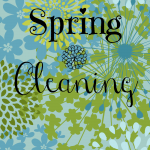 Not only is it super pretty, it’s also reaaally durable, resists scratching and chipping, AND you get a 3-year warranty. 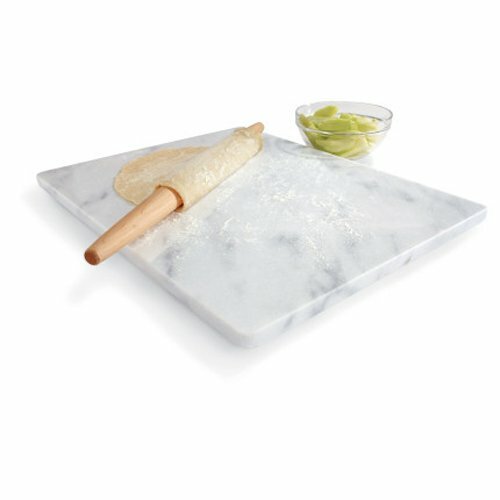 If you know someone who likes making pastries or pies, you’ll definitely wanna get them a marble pastry board. 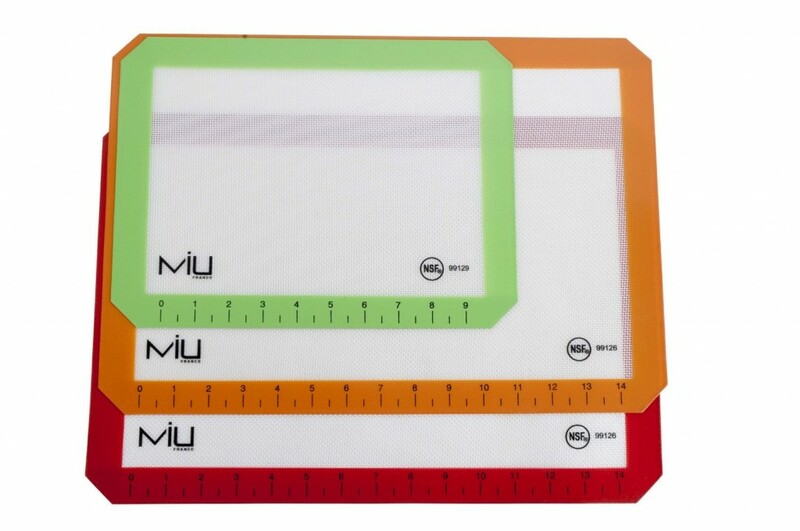 It’s nice and heavy, unlike a thin plastic cutting board that moves around if you try to roll something out. 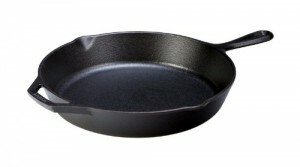 It is also super smooth, scratch-proof, and non-stick! 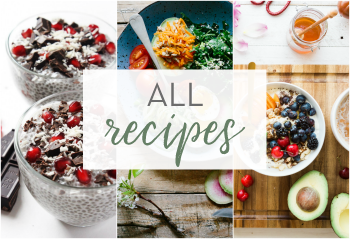 This cookbook by the lovely Shaye Elliott of The Elliott Homestead features loads of healthy, everyday recipes that are easy to make. If you’re looking for a cookbook that is as entertaining as it is delicious, then look no further. 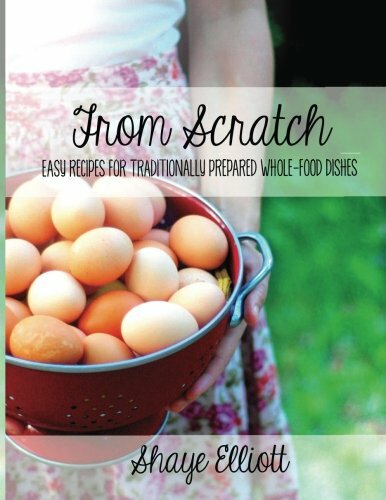 From Scratch is a breath of fresh air when it comes to learning how to traditionally prepare and cook nutritious food. Shaye does not disappoint in her recipes and this cookbook reads like a letter from a close friend. NOTE: We will now be moving into the appliance/high-ticket item gifts. 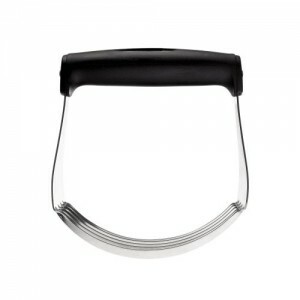 These gifts are a little more expensive, but make great gifts for foodies and aspiring chefs. They’re also less likely break and most come with a warranty. The price of each item is displayed in parentheses next to the item title. Each price is rounded up to the nearest dollar. Also, please note that these were the prices at the time of posting. 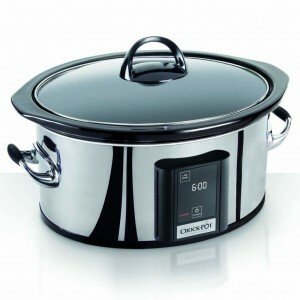 Slow cookers are such a wonderful thing! There’s nothing like being able to toss a bunch of ingredients into a crock pot, turn it on, and come back a few hours later to a delicious meal that took little to no effort. 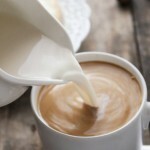 You can make soups, cook meat, make vegetable/bone broth, and so much more. This is another one of those things I don’t own, but would really love to own. 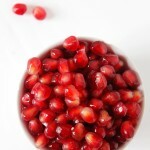 You can dehydrate fruits and vegetables or meat and fish for jerky. I’ve been wanting one of these because I want to try to make those delicious homemade fruit leathers that you’ve probably seen floating around the web. I’ve wanted a KitchenAid stand mixer since I was 10 years old, however I didn’t think I would ever be able to buy one (I mean, I was only 10). 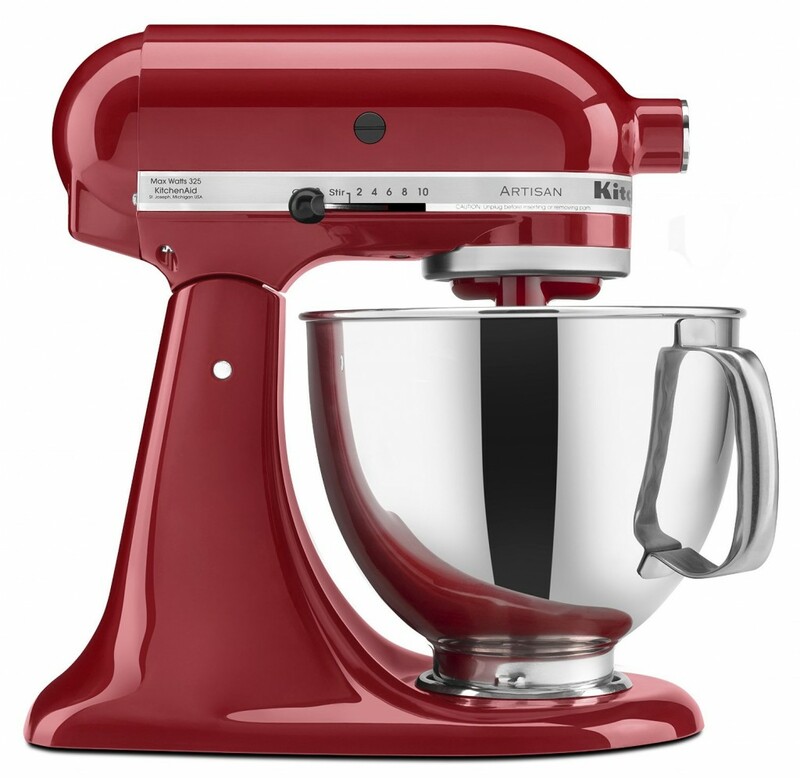 But last year, my awesome grandmother gave us a beautiful green stand mixer for Christmas and I screamed. Loudly. And of course, I cried. Best present ever. Long story short, if you want someone to love you like crazy, get them a KitchenAid stand mixer. They come in like 25 different colors and it comes with a flat beater, coated dough hook, wire whisk, a pouring shield, and a 1-year warranty. This is the only food processor and blender I use. And I love it. In the 8 months I’ve had it, not a week has gone by when I haven’t needed/used it. 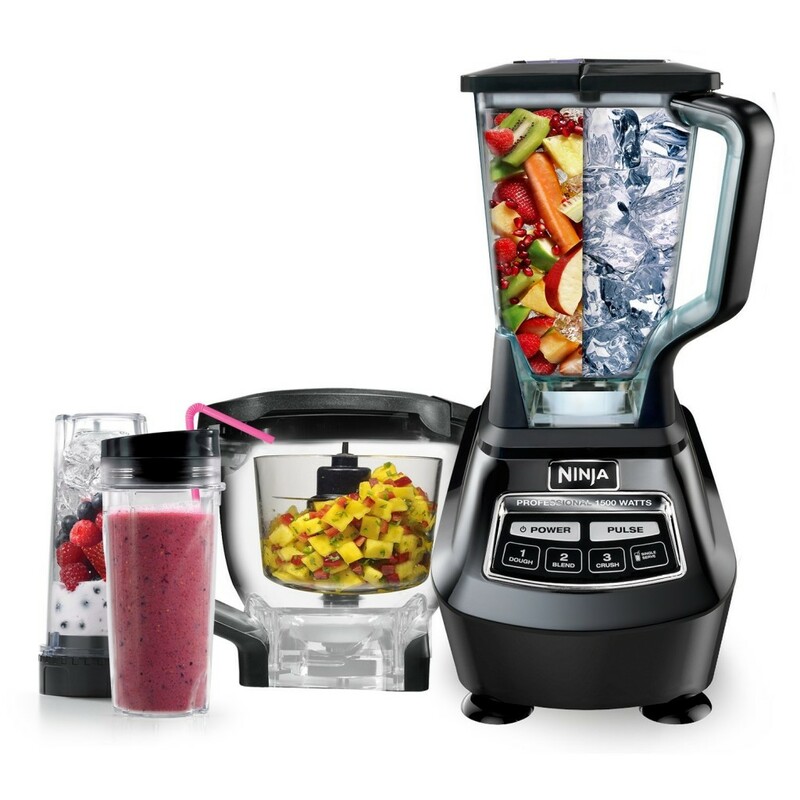 You get the base machine that the food processor, blender, and single-serve blender fits into. 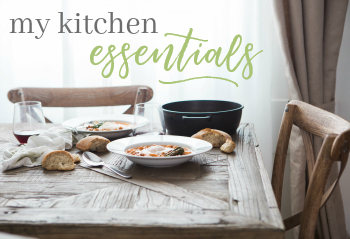 It’s 3 great appliances wrapped into one, and you even get a free recipe book with it. I don’t own this exact immersion blender, but it is way nicer than the one I picked up from the thrift store. 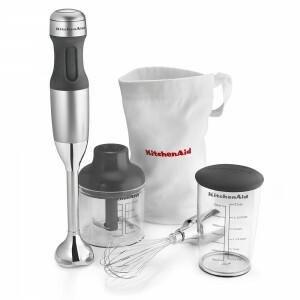 I love that it comes with a whisk attachment (AKA no need for a hand mixer) and a chopper bowl attachment. I had a waffle maker, but it broke. So I got another waffle maker, but that one broke too. 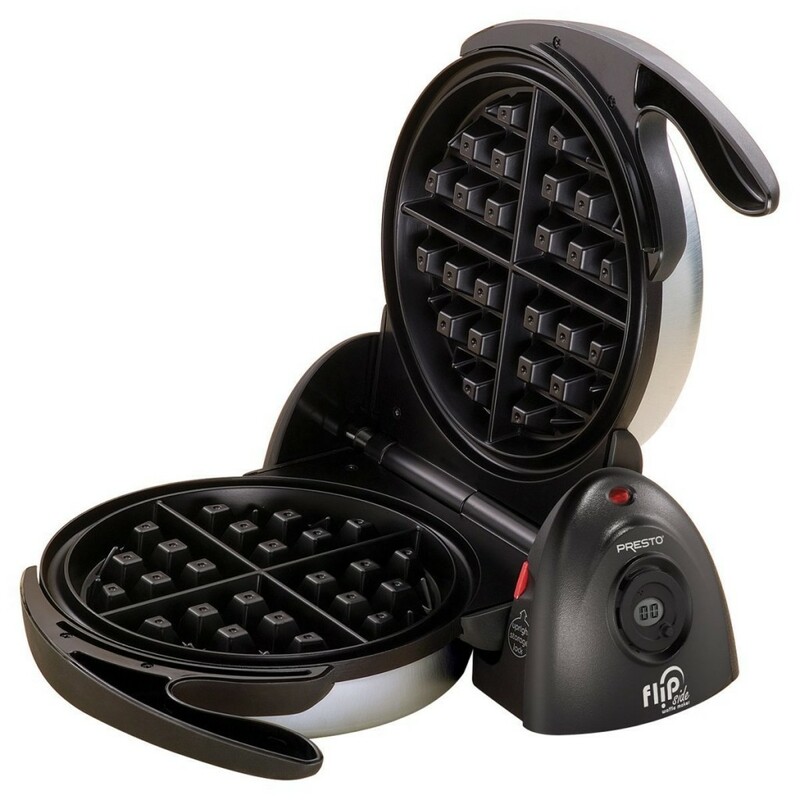 I’m tired of waffle makers that break, don’t work well, etc. That’s why I am determined to get this waffle maker for Christmas this year. It’s got some great reviews on Amazon and I’m loving the price tag ($35 + free shipping). And that’s a “wrap!” Which gift would you like to receive most? What a great list! I really want that marble pastry board!! Well…if someone’s being particularly generous, then I’ll take all of them! lol But if I had to choose just one…I’d take the cast iron skillet ’cause I reeeally need one! Awesome list! I seriously would like every single thing on it. 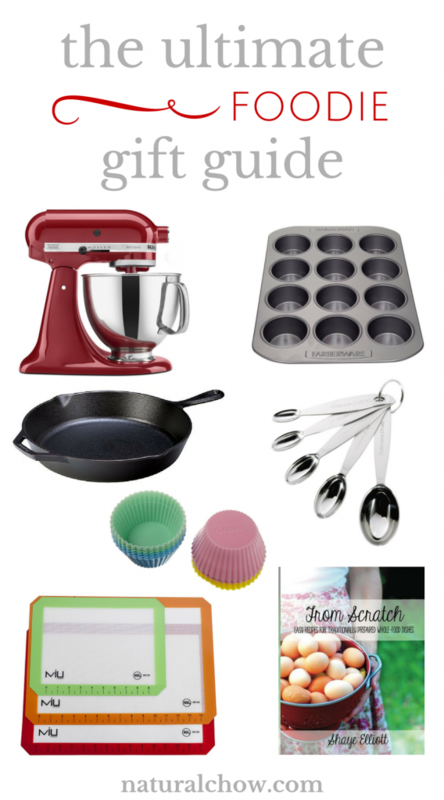 I have some silicone baking mats and absolutely LOVE them.